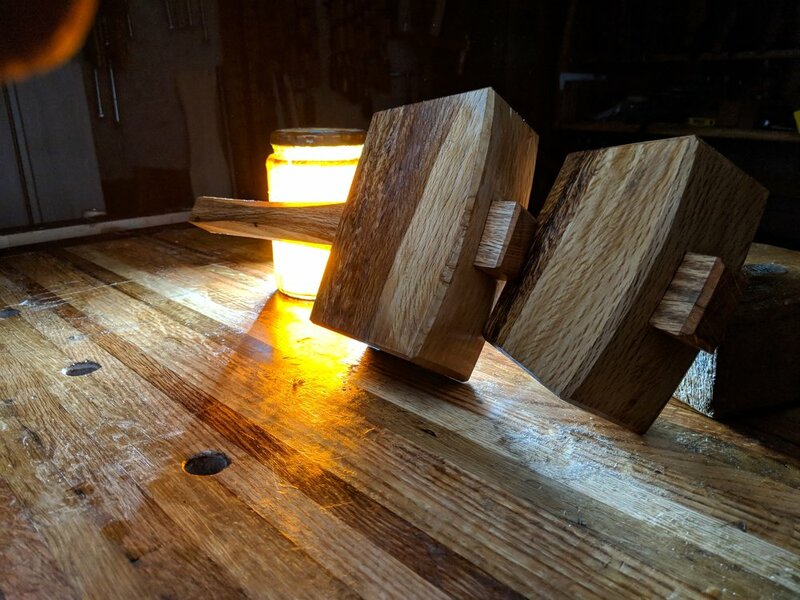 In episode #99 We talk about, Zacks hammers, Will messing up, making doors, the MWTCA national meet, making mallets, skils we are afraid of, what finish to use on a desk, and so much more. What’s new/ what are we working on? Make Brooklyn: What is a skill you picked up that you never thought you would be able to do? Make Brooklyn: What a project outside your comfort zone that you've been putting off? What is the difference between a power hammer and hydraulic press? Jeff Gruff: What's a good durable finish to use on a desktop? Something that tolerates keyboard and mouse scraping etc. What’s new/what are we watching/reading? Sign up For a 20% discount code for Plans on this site. Just to say Thank you to the best fans on the internet! Thank you! You will receive an email in a moment with the discount code. Looking forward to seeing what you build!